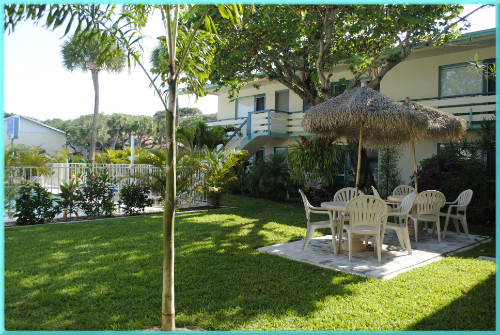 The Sea Spray Inn is a smaller Vero Beach Hotel. We have 17 rooms, each having a full kitchenette. Although not large nor expensive, we are a quality Vero Beach Hotel and spa services are available. We actually know a great masseuse and she is available to come and give you a massage that will make you feel like you're at the Taj Mahal. Big doesn't always mean better having good connections can make up for a lot. There a lot of hotels in the Vero Beach area. Some of them are quite large and costly. If you're interested in showing people how much money you have to spend, then maybe one of those would suit you just fine. However, if all you want is a nice clean place to stay where you can walk to the beach and feel at home when you get to your room. Then you really need to give us a good look. Our property has a heated pool, a barbecue grill outside and our courtyard is tropically landscaped. We are in a quiet area of the barrier island. This is a great spot to borrow one of our bicycles and just cruise around the neighborhoods for relaxation. If you go 1 mile north it is not as quiet. It can actually be quite busy. Riding a bike on the main street, where all the larger hotels are located could actually be dangerous because of the traffic. We also provide boogie boards, beach towels, beach umbrellas and a volleyball if you have enough people to use the court at the beach. We also have a couple of fishing poles to loan to our guests. Just be sure and buy a fishing license before doing that. There is also a wide array of activities that can be arranged for you. There is a also the choice of doing almost nothing. You can just hang out at the beach or the pool and truly relax. Even though we have full kitchens you may not want to cook and there are several great restaurants within walking distance. One of these restaurants serves Italian and Continental cuisine. Another one is a great steakhouse. There is also a Caribbean style restaurant, and one of the best pizza joints around. Those are just the ones within walking distance. If you hop in the car and drive about 1 mile north there are a lot of choices as far as dining. There is a lot to do here in the Vero Beach area, which is why we chose it as a place to settle after spending countless winters up North. Whether you're growing tired of winter and just need a break or are planning a beach vacation, this is a great choice. 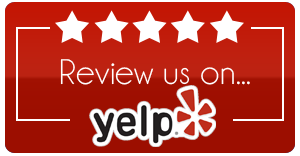 Remember, we are a smaller Vero beach hotel and spa services can be ordered. To get that relaxing getaway you don't need to stay at an expensive Vero Beach Hotel. Just pick up the phone and give us a call. We would love to make a reservation for you here at the Sea Spray Inn. Once you stay, you'll be back.